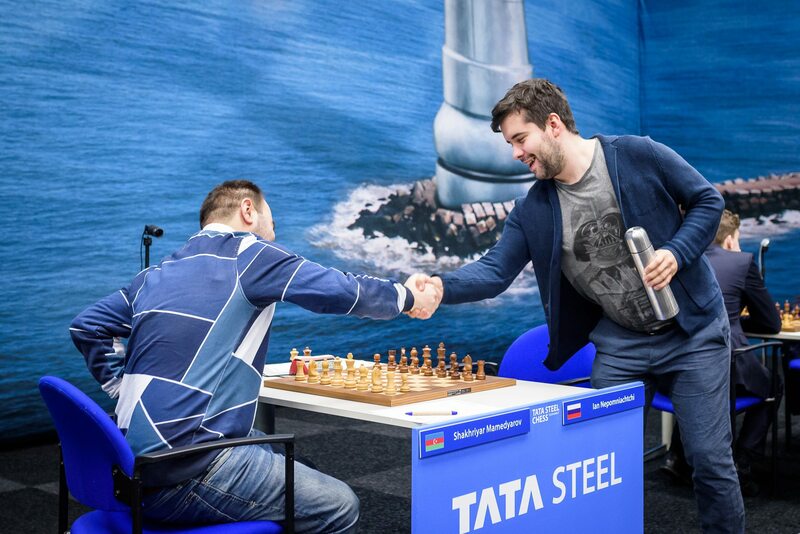 Carlsen-Kramnik was the big clash of the day in the Tata Steel Masters, and although it ended in a draw it didn’t disappoint. 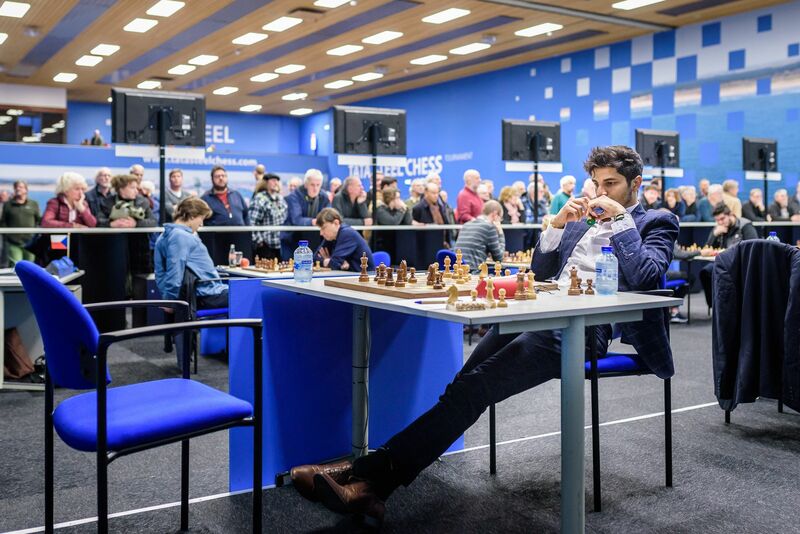 Vlad said afterwards, “I’m an old man – I just want to enjoy chess!” and for once he could, as he showed some real touches of class to hold Magnus to what was his 21st draw in a row. 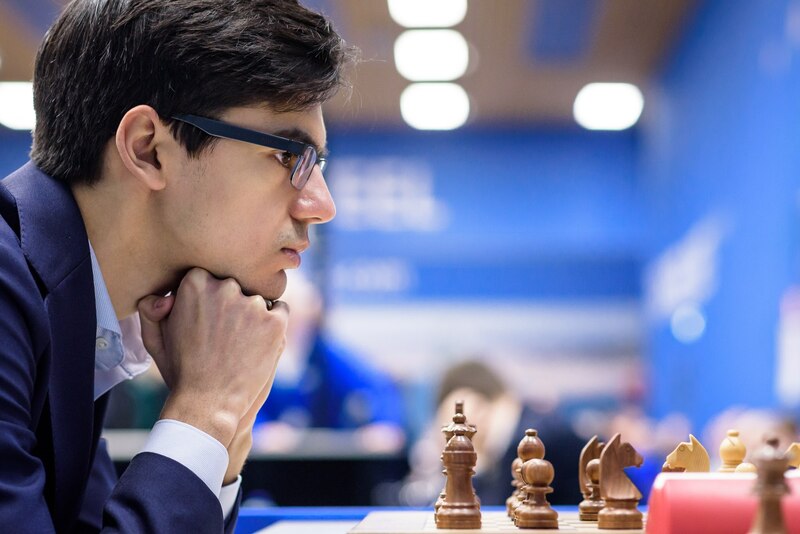 Elsewhere Anish Giri moved to +1 after beating Richard Rapport, while Vidit defeated Jorden van Foreest after the Dutch youngster blitzed out one move too many when he had a draw in his grasp. It was a bad day for the Foreest family, as Lucas also lost the only decisive game of the Challengers, to Vladislav Kovalev. 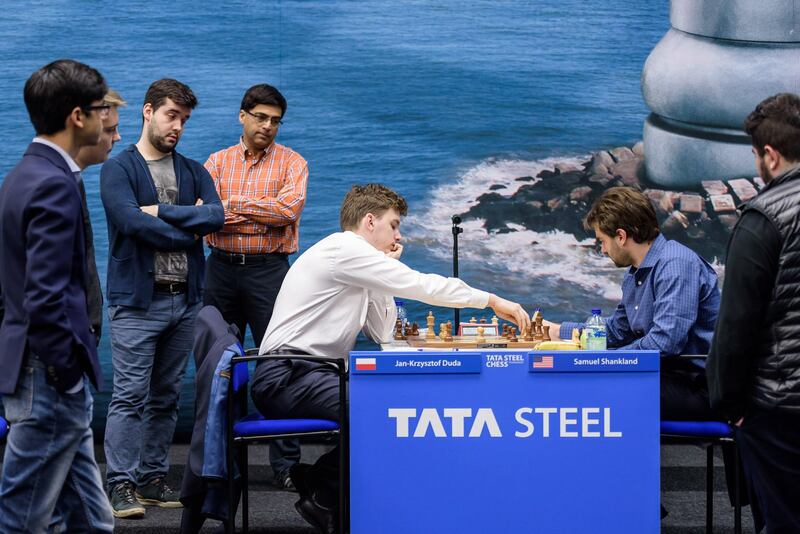 All eyes were on Carlsen-Kramnik as Round 4 of the 2019 Tata Steel Chess Masters got underway and sure enough the current and former World Champions put on a show. 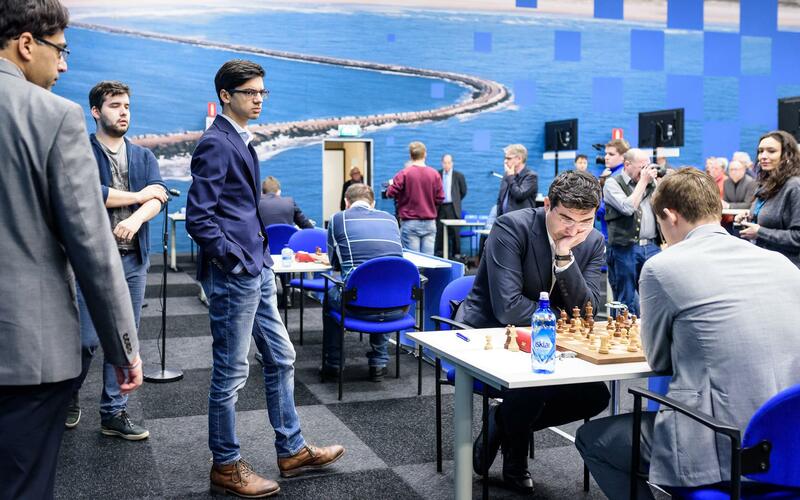 Vladimir Kramnik had played three shambolic games so far in Wijk aan Zee, but against Magnus he showed he was still a force to be reckoned with when he met 17.Nc4 (played after 19 minutes thought) with 17…b5! At some point I got a good position. It was close to equality, I thought I had a nominal plus, very nominal, it was actually pretty equal, but I just want to play every game until the end. 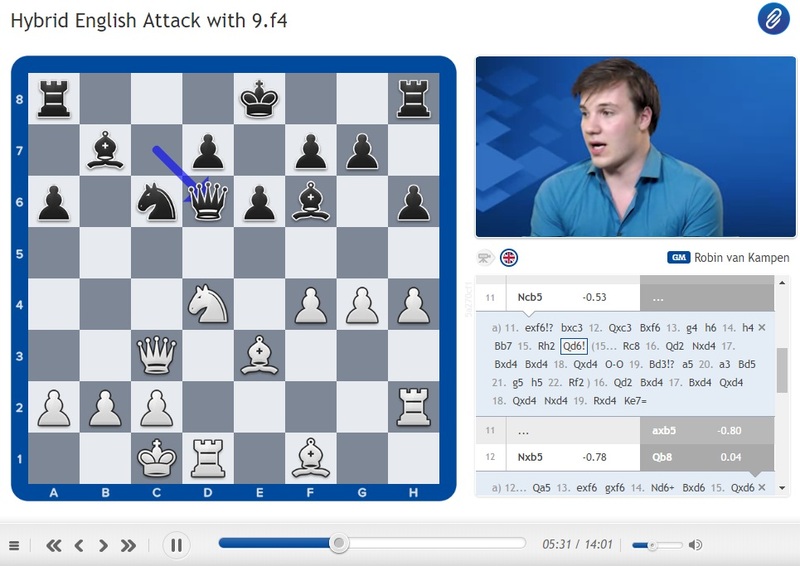 Vlad has sacrificed a pawn in exchange for the c4-knight blockading the c-pawn and dominating the b2-bishop, while he’s ready to advance his own pawns on the kingside. He felt Magnus also went somewhat astray, but in the end the opposing forces produced a perfect dynamic equilibrium. 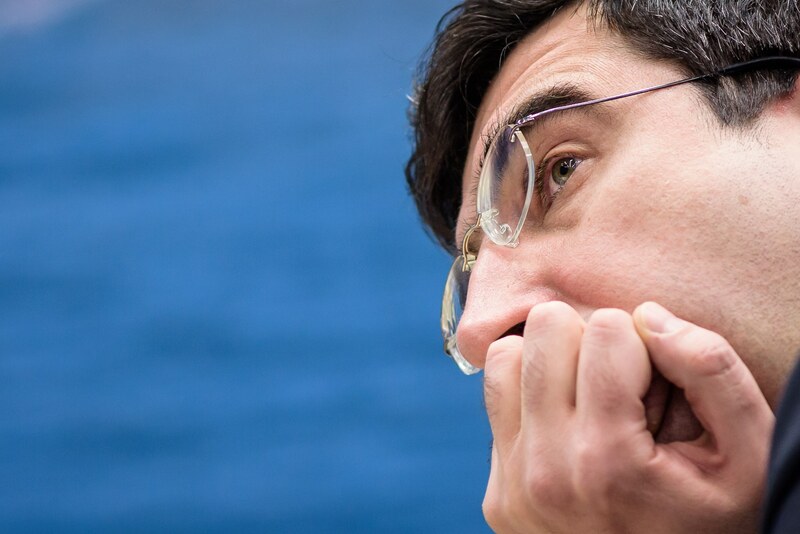 A better day at the office meant we got to hear from Kramnik, who articulated his motivation for the wild approach to chess we’ve witnessed from him in the last few years. Has his optimism led him astray in Wijk? It’s not about being optimistic. I’m an old man – I just want to enjoy chess! Of course I know that I’m overstepping limits, but I do it absolutely consciously. I know that I’m risking too much, but that’s the way I want to play. In such a strong tournament it maybe doesn’t pay, but at least I have interesting games… It’s true that I’m taking risks, but it’s the way that I play for already quite a long time, so everybody knows that playing against me, like Anish said, you just have to sit and wait and something will come, and then you have to take your chance. I know it very well – I know my opponents know it as well! I think the move 23.g4?! combined with a draw offer is a recipe for disaster. His team had correctly assessed the opposite-coloured bishop ending as drawn, but here Jorden blitzed out one move too many, playing 36…Ba4? after just 46 seconds. Then after 37.c7+ Kd7 38.g4! g6 39.Kf4! he finally plunged into deep thought. 39…f6 might still have been a draw, but it was anything but trivial, and after 39…Bb5 40.Kg5 Ba6 we had the strange situation that Jorden had over 2 hours on his clock… but a totally lost position, as Vidit went on to prove. Instead 36…Bd1! in the diagram position would have saved all that heartache, since the white king is unable to advance without giving up a pawn. Vidit wasn’t complaining! Sam went for it, surprising Jan-Krzysztof Duda, who spent 16 minutes contemplating his response. The players followed Robin’s line up to where he ended with 19…Ke7, when Black has complete equality and can even dream of playing for more. 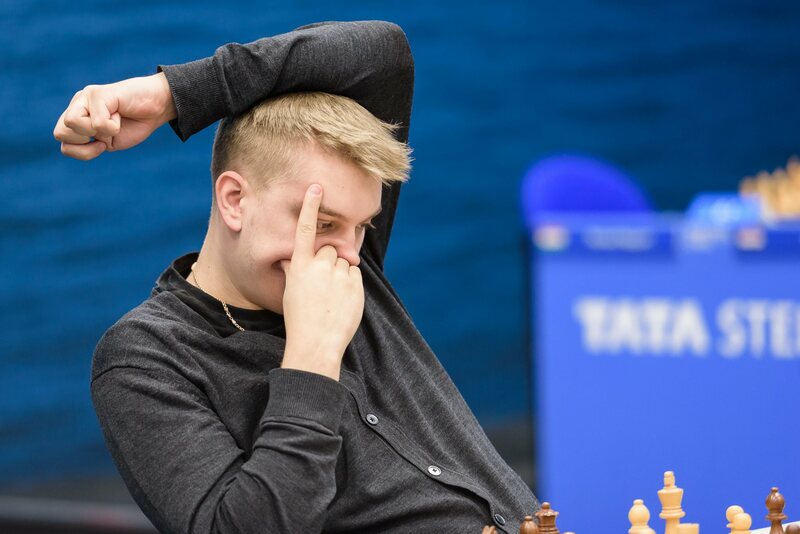 It seems Duda sensed the danger, as he soon doubled rooks on the 7th rank and forced a draw. Elsewhere Ding Liren got to play a classic “minority attack” against Vladimir Fedoseev, but in the end there were too few weaknesses in the black camp to fight for more. Ian Nepomniachtchi tried the King’s Indian Defence against Shakhriyar Mamedyarov, but it was a quiet manoeuvring battle before a draw was agreed on move 32. 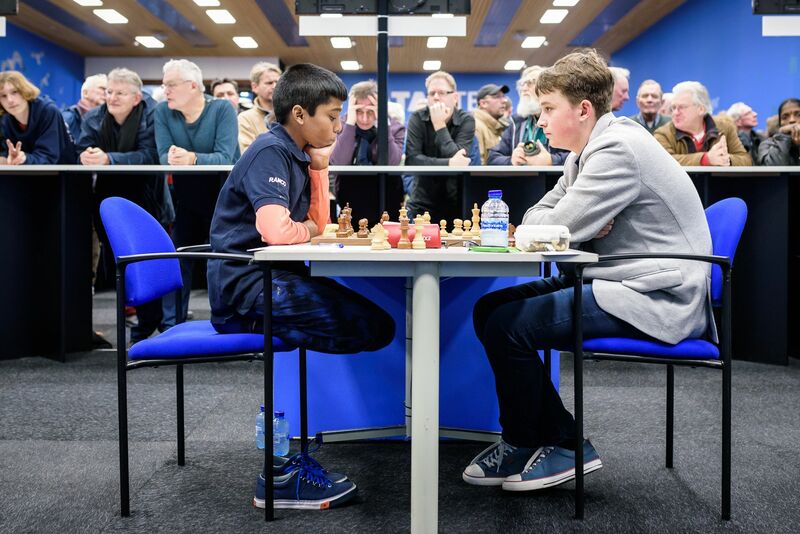 Anand-Radjabov reached exactly 30 moves, the minimum required, before the Re1 Berlin was put out of its misery. 68…h4! and Black seems to be just in time, but delaying one move with 68…Kc6? proved fatal after 69.Ke6 h4 70.f5 and the f-pawn makes the difference. Lucas resigned on move 79, meaning that while we still have six leaders in the Challengers Lucas has now been replaced by Kovalev. It’s also noteworthy that Stefan Kuipers finally got off the mark, drawing against Elisabeth Paehtz after losing his first three games. 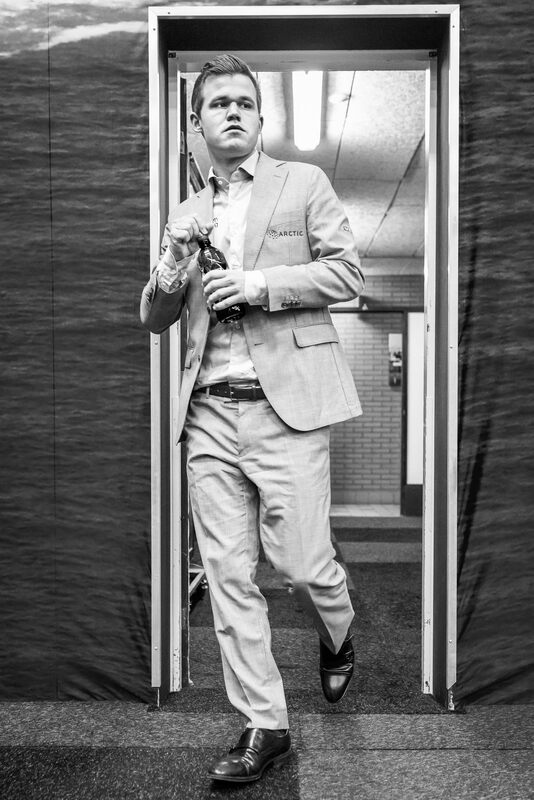 Round 5 is the last before the long-awaited first rest day, and Van Foreest-Carlsen looks like the ideal game for Magnus finally to draw blood again. If he didn’t have enough motivation already there’s the fact that a draw will cost him around 2 rating points and leave his world no. 1 spot hanging by a thread. Of course going all-out for a win with Black against a dangerous youngster isn’t without risks, which is good news for us fans! 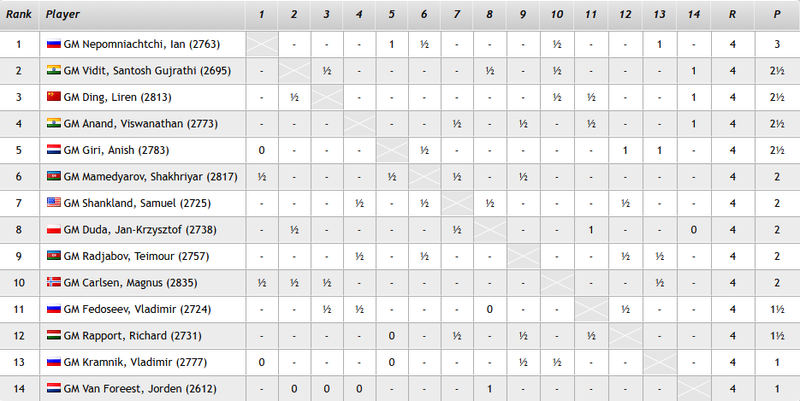 Among the other games, Kramnik-Mamedyarov is one where action is almost guaranteed.